When your project library starts to build, you may prefer to &apos;hide&apos; projects that are not currently being worked on. 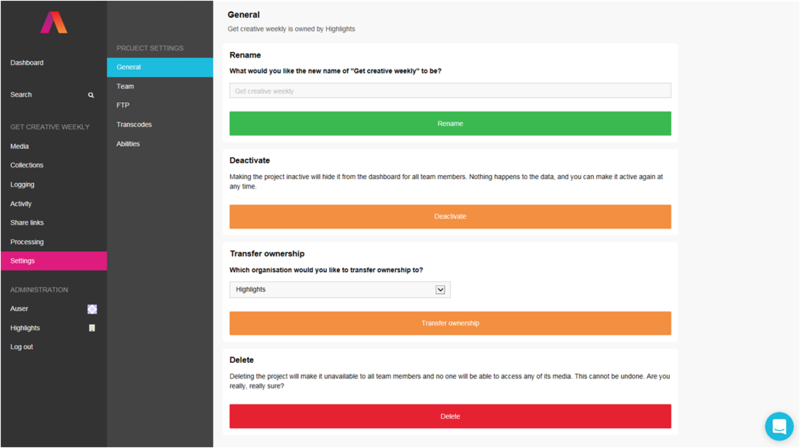 Making a project inactive removes it from the initial view of the dashboard but still allows you and any teammates to access the material. Lets take a look. Lets say that I would prefer only 2 of these to be showing, as they are active projects, where the others are finished. When I say they are finished, I mean no one is working on them but I may need that content later, so do not want to delete. The great thing is that the projects, although not showing on initial view, are still available and all of the content is still searchable on the global search. You can enter the projects and work on them as normal. If you wanted to make the projects &apos;Active&apos; again, just reverse the process above, go into the settings page within the project and make &apos;Active&apos;.